The food that the Silver City Gospel Mission picks up is donated by supermarkets, our food bank, private individuals and groups, restaurants and farms. In most cases, the rescued food is being saved from the dumpster and, ultimately, the landfill. After it is picked up, it is brought to the Mission for weighing and sorting. You will be sorting between usable food and non-usable, and then we sort between food for the soup kitchen or food pantry. We need strong, patient people with a full size pick-up for our food pick-ups. Sometimes a box or bag may weigh close to 100 pounds and we have to pick it up at various times during the day, evening or weekend. It also takes a little bit of patience, as we sometimes have to wait for one of our food donors to do a higher priority task. Anyone can help us weigh or sort the food and we always need help in this area. If you are interested in lending a hand, please fill out a volunteer form and schedule an orientation with the manager. 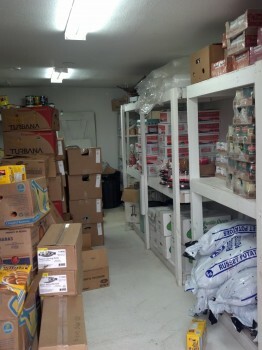 Share the post "Picking Up And Sorting Food"